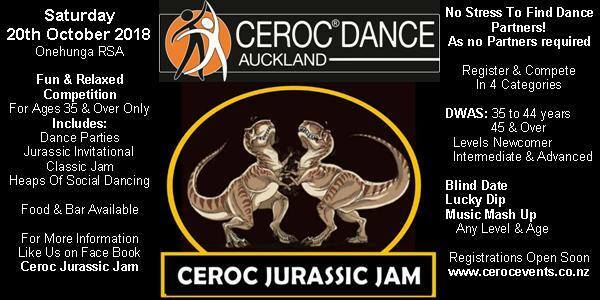 The Jurassic Jam is fast approaching so make sure you get you register soon! Heaps of social dancing throughout the day with many fun categories to enter and compete in. NO PARTNERS required, we pair you up with dancers that change throughout the day until we find our finalists. Nothing but fun fun fun dancing in a relaxed supportive environment. So if you are 35 years and over young this is the vent for you! With the most coolest trophies on offer and heaps of dancing, what more could you ask for! Saturday 20th October at the Onehunga RSA! Click on the following link to register now!